Recently I’ve been prototyping a timed hits RPG. It has no art, but it demonstrates the intended core mechanics quite well. Click here to play it. This is a unique subgenre of the JRPG genre, so to help explain it I’ve embedded a video of one of the more refined examples made by Nintendo. This entry was posted in Game Development, Unity 3D on May 24, 2015 by Thomar. This tutorial will demonstrate how to programmatically generate a mesh in Unity with C# code. 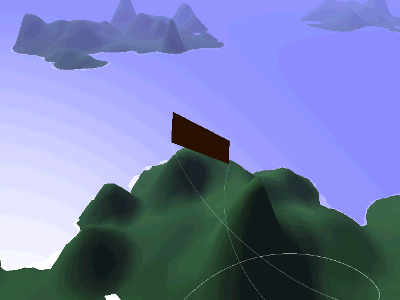 This code was used in my procedural terrain/flight demo. I’m going to show how to make a triangular grid, but you can easily extrapolate this to make square grids and other shapes you need for your Unity projects. This entry was posted in Game Development, Perturbation Prototype, Tutorial, Unity 3D on April 7, 2014 by Thomar. After working on this prototype for two weeks, I’m ready to share. Click here to play it. 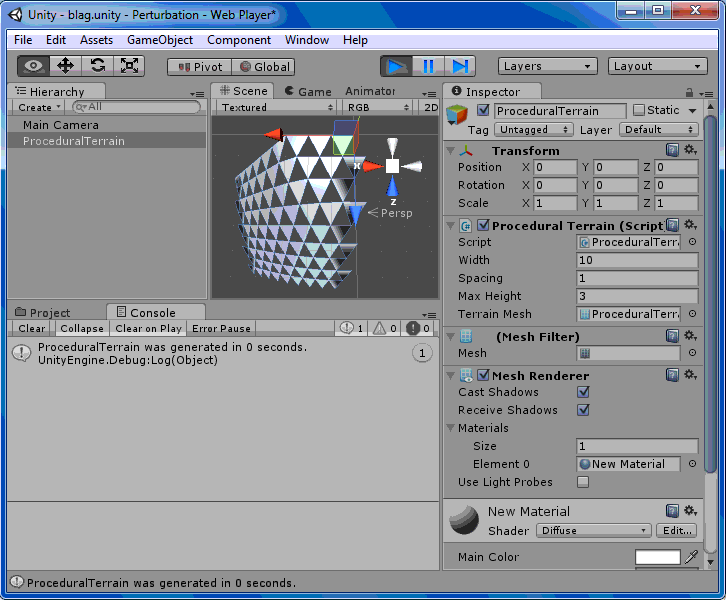 This entry was posted in Game Development, Perturbation Prototype, Unity 3D on March 18, 2014 by Thomar.